Disable Autoplay for YouTube™ is a lite Opera addon that lets you easily stop YouTube videos from auto-playing. Toolbar button serves as ON|OFF switch for this addon. In other words, you can simply click on the toolbar button to enable or disable this addon. The icon will change color accordingly. Green color shows an active state and dark gray color shows a disabled state. Simply add this addon to your browser and start browsing YouTube. 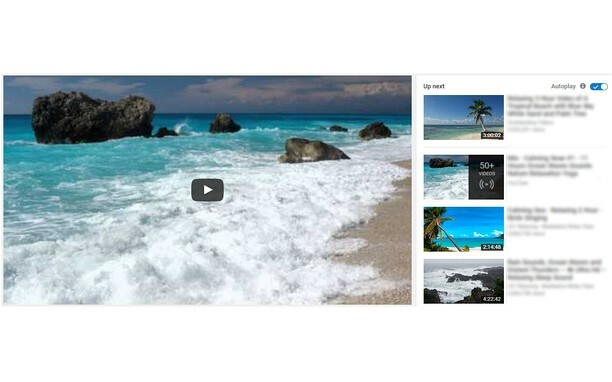 With this addon, videos are stopped automatically from playing when you open them. There is an option in the settings page to play or pause videos when a tab is focused or hidden. These two options are not active by default. This addon works for all YouTube videos whether they are embedded or not. However, you can disable this option from the settings page. Note: in order to report bugs, please fill the bug report form in the addon's homepage (http://mybrowseraddon.com/disable-autoplay.html).